Stunning Elizabeth home with major style and light-filled spaces! 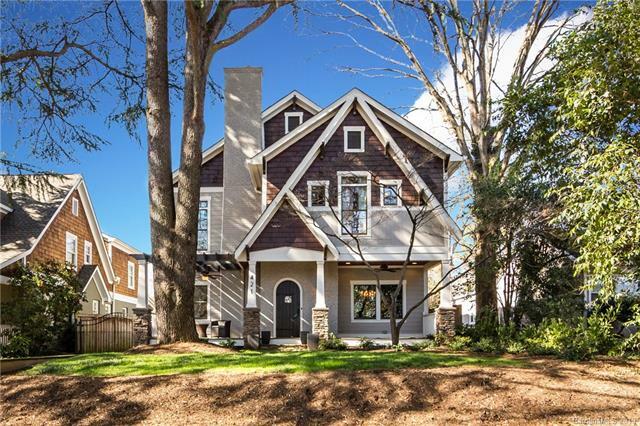 A rare find in the urban neighborhoods surrounding Charlotte, this home has it all. Top notch kitchen renovation completed last year with marble counters, honeycomb tile backsplash, new cabinets, over the range pot filler, and updated lighting. Family room updated with double sliders flanking the fireplace, new mantel, and custom cabinetry with locker style storage. Truly indoor/outdoor living as you walk out the family room to the newly completed patio with sitting wall and raised beds. All landscaping redesigned front and back. Master bath is a peaceful retreat with marble counters, floors and shower, huge walk-in closet and balcony. Main floor guest suite. Bonus room above garage. Tankless water heater 12/18, main floor furnace 12/18. Enjoy the walkable Elizabeth community where neighbors meet at the many restaurants and shops in the neighborhood.